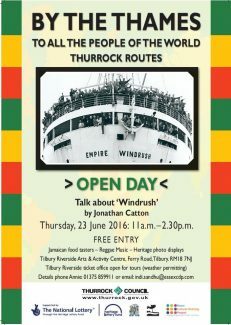 The day included a talk and slide show from Jonathan Catton, FREE samples of Jamaican food, music and guided tours around the old ticket office of the Tilbury Riverside station. 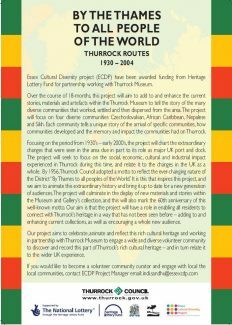 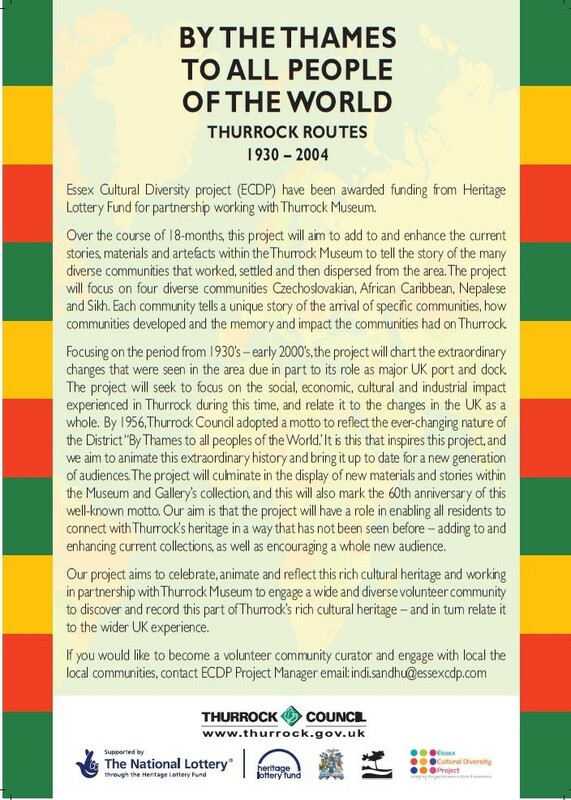 There were displays of the Windrush and other projects including the Tilbury and Chadwell memories. 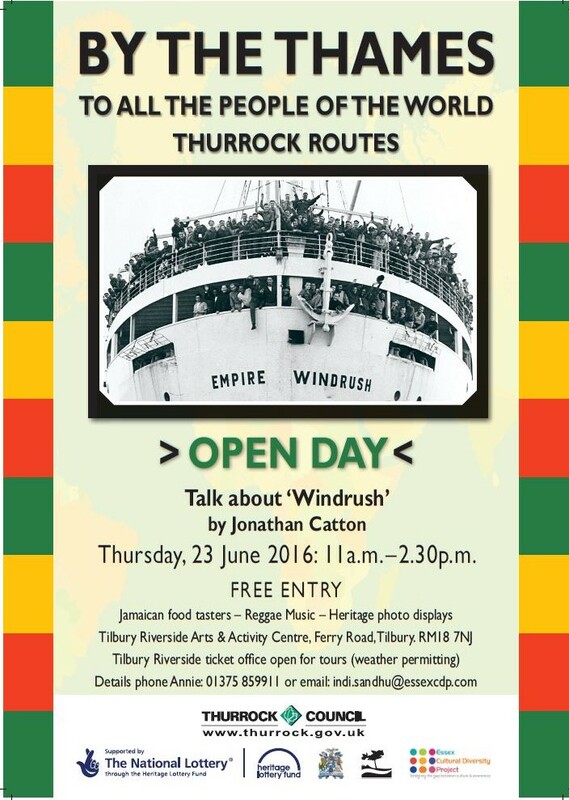 Many people joined us an enjoyed a wonderful chance to learn about the Windrush and other heritage in your area.